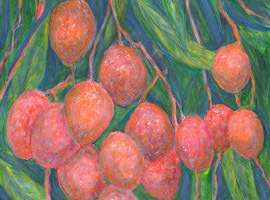 Affordable Fine Art Giclees of the Australian tropics for sale! 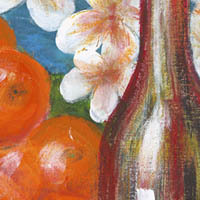 Affordable Fine Art Giclees of the Australian Tropics. Jill Booth's affordable fine art giclees are now available for purchase; she has selected a few paintings and reproduced them through the giclee process, which prints tiny drops of special ink onto a high quality canvas or rag paper. Using only the highest quality ink, canvas or paper and finishing agent, these fine art giclees are guaranteed to last as long as an original painting, if well cared for. The ink used does not fade but will wear if abraded so care must be taken to protect the corners and edges well when transporting them. 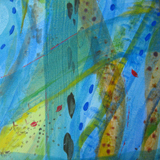 For more information about the giclee print making process, please see this page. The main advantages of giclee prints are that they can be ordered individually and their cost is only a fraction of the original painting.They can usually be ordered in any size to fit a client's requirements and may be printed on canvas or on good quality watercolour or etching paper. 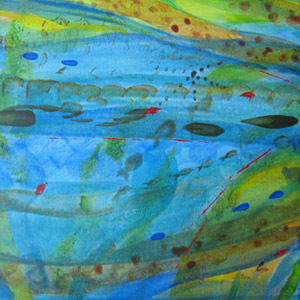 As well as reproducing original artworks, Jill also sometimes develops paintings digitally. Starting with one of her original paintings, she plays around with it, changing it here and there to give added meaning or interest. 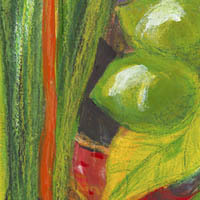 She also sometimes crops sections of a painting that has been developed for that purpose. An example of that is on the left. 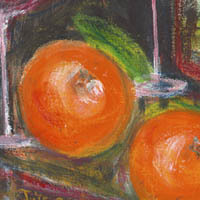 The painting, "Tangerines" was deliberately designed to be cropped into smaller giclee paintings. In this deductive way, a series develops from the original concept. The series looks good hung together or separately in the same room (see images to the right of this page). Then there's this one, below, which is a favourite of mine. It tells a little sub-story of the whole, rather intense, painting. 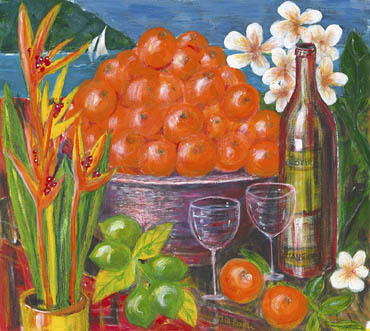 'Tangerines 2 - time for celebration'. 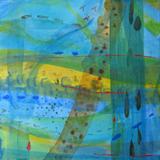 The movement of the ocean, its waves, darting fish and other marine creatures are portrayed abstractly in these affordable fine art giclees. Once again they are presented as a series. Image continues around the edge of the 'painting' if it is printed on canvas. 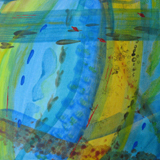 This series of six paintings was developed as a whole. Spread out on a large printing table the paintings were turned this way and that as fresh, often transparent, colours were applied with brush or sponge. This approach meant that the finished works could be hung in any sequence or orientation and the resulting composition would be harmonious, whether they were side-by-side, one above the other or scattered throughout a room. If you are looking for a clean, modern look for your home, these fine art prints on canvas or paper are sure to enhance its decor. If you would like to request sizes other than those shown here please contact me via the form, below. 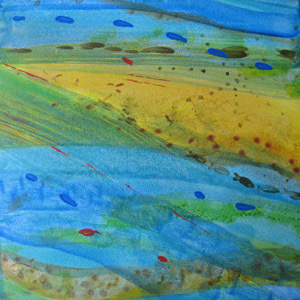 Complete original paintings reproduced as affordable fine art giclees. 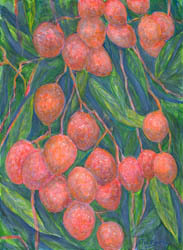 This bunch of fragrant and juicy lychees was growing on a huge old tree close to my house. The artist couldn't resist painting them before they were eaten! This is a story about the history of Low Isles, just off the coast of Port Douglas. For many years the lighthouse on the island was manned by a lighthouse keeper and his wife as well as his assistant and family. Imagine the loneliness of life there, so far from loved ones. Letters, which may have arrived every six months or so, would have been treasured. 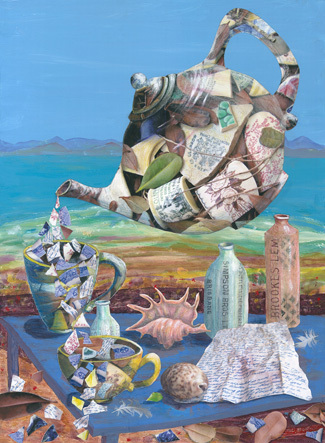 The broken china fragments depicted in the collage are from photographs of actual pieces picked up on the beach by caretakers and volunteers. 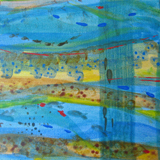 on quality rag paper - A$260 includes packing and postage within Australia. International P&P please add A$25. 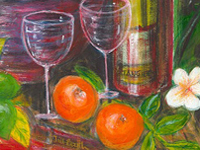 Fine art giclees by Jill Booth now for sale.